The Empty Mind documentary is a historical journey that begins where it should… the birthplace of the martial arts, Shaolin Temple and ends at the Budokan in Tokyo, Japan. 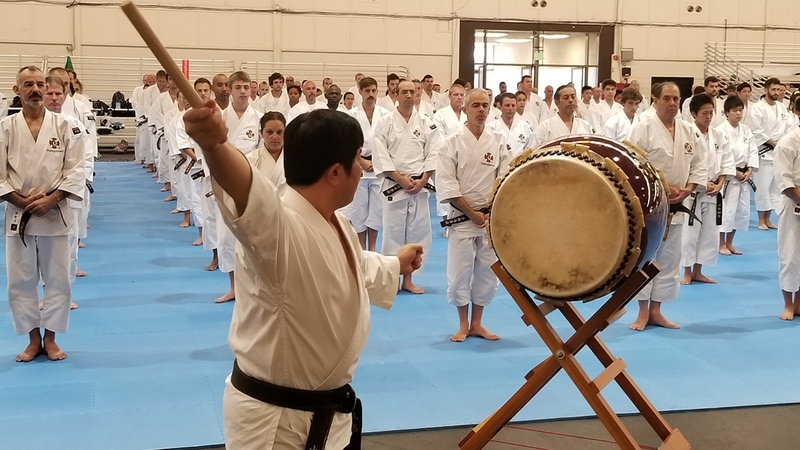 Over two years in the making, this is an epic account of today’s top martial arts teachers and the mind connection that exists between them regardless of their very diverse styles. 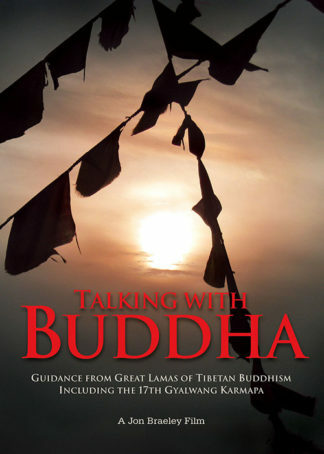 In this sense, The Empty Mind is not just for martial artists, but for anyone who wishes to improve themselves both spiritually and physically in order to find happiness in their every day life. This is what Robert Young, editor of Black Belt Magazine wrote… “This (The Empty Mind) could be shown on the National Geographic Channel tonight and no one would suspect that it was not a multi-million dollar project helmed by Hollywood heavyweights. On a more personal note, this documentary rekindled my fire for the Asian ways of combat.”… [read more in reviews on the left]. 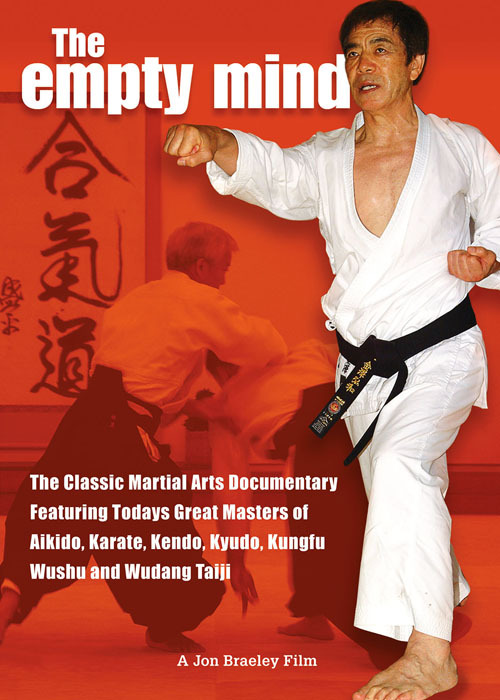 5 out of 5 stars “The Empty Mind” is a first-rate, professional martial art documentary. Great documentary along with great photography and interview. 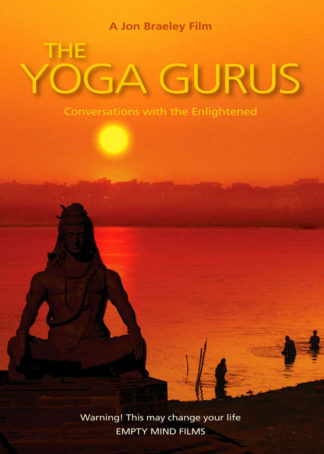 Gives a nice introductory view of a wide variety of very spiritually oriented martial arts. Would highly recommend. Every now and then you round a corner in life and get smacked in the face by a couple of ideas or products that share a common theme. In my case, it was a pair of DVD’s one of which is titled, The Empty Mind: The Spirit and Philosophy of Martial Arts. Some might say it was serendipity that brought them to my desk on the same day, but I prefer to think it was more mundane: The Martial Arts have come of age! 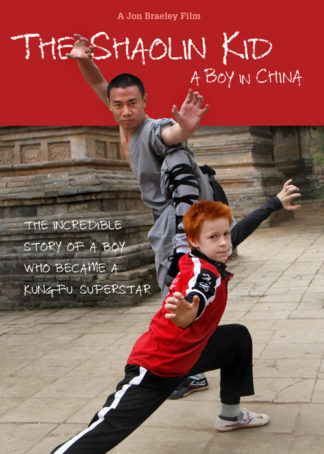 Several weeks ago, a Kenpo black belt named James Bennett dropped off the DVD for me to watch. I asked him if it was another one of those amateur efforts. He insisted it wasn’t. So I gave it a look. I must say I was impressed. It certainly wasn’t a collection of home movies. It is a coherent production that was professionally filmed in Japan and China. 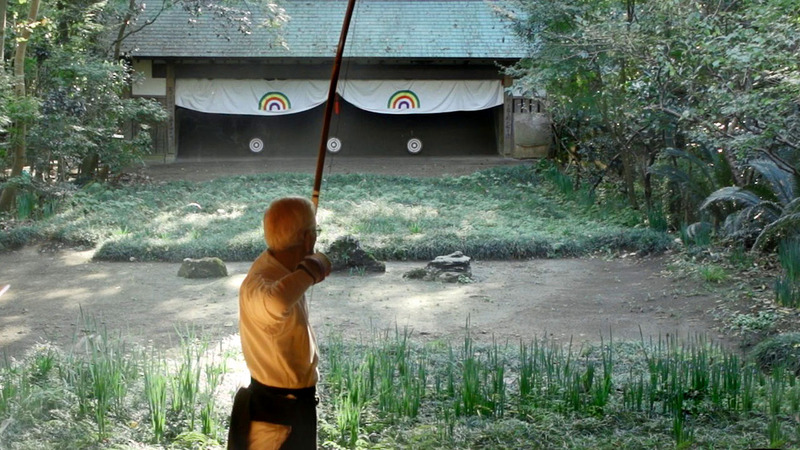 Crafted by Jon Braeley, of Empty Mind Films, it profiles practitioners of Aikido, Karate, Kendo, Kyudo, Shaolin Kingfu, Tai Chi and Wushu as they plied their trade in the dojo and at tournaments. The styles were presented as artistic endeavors that steel the character and build the body no matter what age. The production was proof positive that filmmakers now view the martial arts as legitimate pursuits that are worthy of the finest documentary treatment. This could be shown on the National Geographic Channel tonight and no one would suspect that it was not a multi-million dollar project helmed by Hollywood heavyweights. 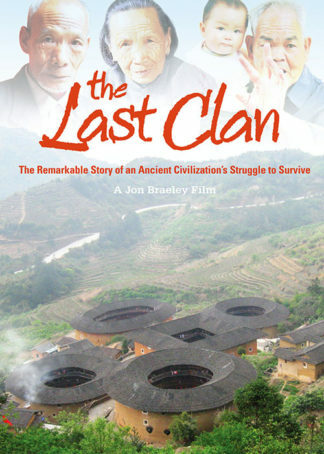 On a more personal note, this documentary rekindled my fire for the Asian ways of combat. In this age of mixed martial arts, when all that matters is the destination, this film reinforces the notion that in life it’s the journey that really counts. Robert W. Young, executive Editor, Black Belt Magazine. April 2010. I saw The Empty Mind and I was very impressed. It was excellent. The Empty Mind includes a great deal of unique footage that is worthy of watching. 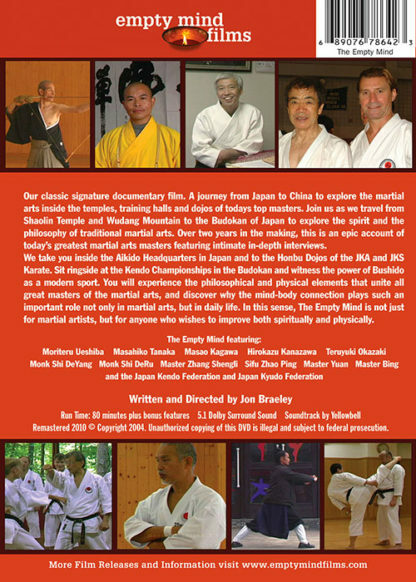 If you have any interest in the mindset of the martial artist, this is definitely the DVD for you. If you’re looking for a DVD that teaches, this is not for you. Quality is top notch. Scenery, footage, all filmed on the spot with no interference from the producers. No stage was set up (apparently) during the filming. 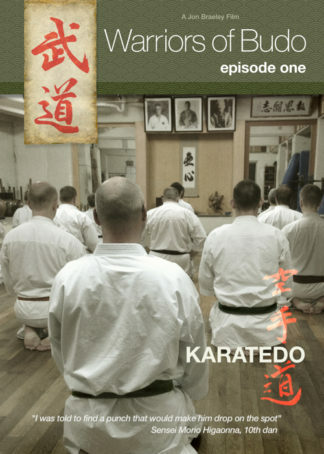 Everything that you see in this DVD is exactly what you would see if you walked into a martial arts practice environment. Overall – Highly Recommended for anyone interested in the philosophical aspect of martial arts. Jon Brailey has yet again done a terrific job with The Empty Mind in bringing the philosophical and psycological side of the far east to us in this terrific film showcasing some of the top masters of the martial arts. Names like Ueshiba, Kanazawa, Okazaki and many more show the art the way it is meant to be practised. Hats off to yet another fabulous film I enjoyed from the beginning to the end. This is a great film with insight and no insight. It’s The Empty Mind. Masters thoughts and views are priceless.